As befits this, the darkest week of the year in our hemisphere, we are delighted to be included on the debut release from TDO Cassettes, Music From The Dark Outside Volume One. Our track Rethreads (a backwards dub mix of Threads in case you hadn’t twigged) was originally broadcast as part of The Dark Outside 2013 and has been selected for this first compilation of highlights from five years of The Dark Outside transmissions. This is a limited edition of 100 cassettes, no downloads or streaming. The other artists featured are: Komputer, Handspan, Wizards Tell Lies, Mark Lyken, Jim Jarmo, Martyn Ware, S.E.T.I. (Andrew Lagowski) and The Rise And Demise Of John. Click through for more details and how to order. We have an exclusive session (recorded live in our practice room) on Pete Jackson’s show on Dandelion Radio this month – check the schedule for broadcast times. We’ve contributed a track to The Dark Outside FM, a unique radio broadcast in the Galloway Forest on 31st Aug – 1st Sept. Find out more from this brief interview with curator Frenchbloke, or see the Tumblr or official web site. 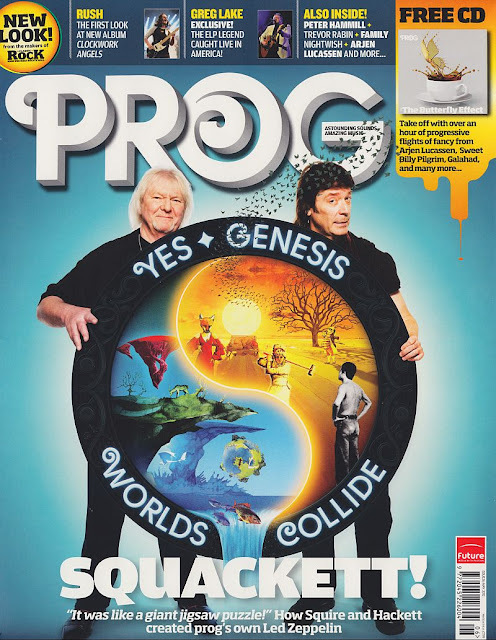 The Fruits De Mer album Head Music is sold out and going for moderately silly prices on eBay, but if you haven’t heard our contribution to it, a cover of the early Kraftwerk number Rückstoss Gondoliere, it’s on the CD included with the new issue of Prog magazine, out today. Cape not included. It’s also on the latest Was Ist Das? podcast which includes brilliant live tracks from Acid Mothers Temple and Suzuki Junzo. Thanks to everyone who came to hear us at Sounds From The Other City, and thanks to Fat Out for putting us on. After our set we were interviewed by Fiona from AllFM for her next Anything Goes Breakfast Show – tune in from 9 till 10:30 am this Thursday on 96.9 FM or at allfm.org. Update: listen here. Our next gig is on Monday 14th May at The Castle Hotel in central Manchester, supporting US indie band The Big Sleep along with new Manchester combo White Vinyl. Free entry if you ‘like’ facebook.com/musicinbeta. See you there! Dead Sea Apes have an exclusive session on Dandelion Radio’s Jeff Grainger’s show. Tracks include Soy Dios, plus two songs from the soon come Astral House EP, Bikini Atoll and Astral House. The session is aired on his show throughout the month of July, and is on at various times of the day, depending on what day it is. You can find the schedule here. Rest assured that we are putting the final touches to our next release (a 3-track EP) and we are also recording a cover version for an upcoming Fruits de Mer album.